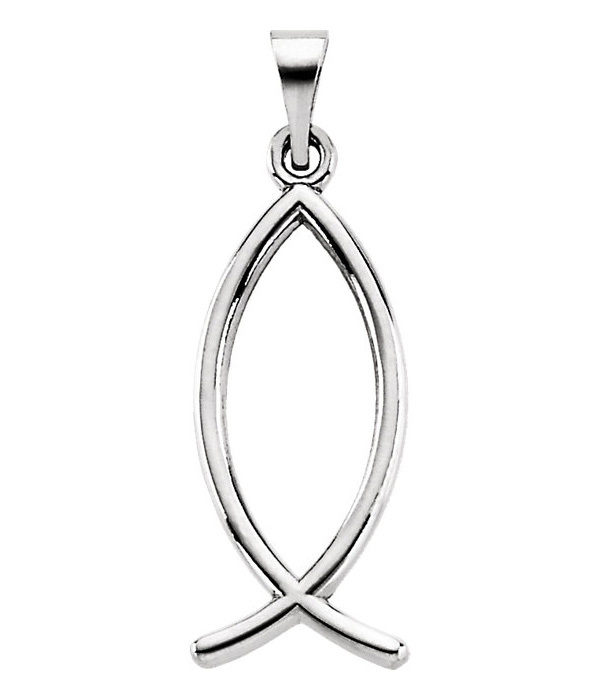 This beautiful 14K white gold Ichthus Fish pendant from Apples of Gold Jewelry is the perfect way to carry a symbol of your faith with you at all times. The fish design is created from 14K white gold, which will look beautiful when paired with a variety of chains of your choosing. The pendant, which measures just over 3/4 inch tall by just under 5/16 inch wide, is also available in a larger size of just under 1 inch x 3/8 inch wide. The fish design is a popular symbol in Christianity, and is a favorite among those who choose a symbol to express their faith. We guarantee our 14K White Gold Ichthus Fish Pendant to be high quality, authentic jewelry, as described above.